BRYAN EATON/Staff photo. 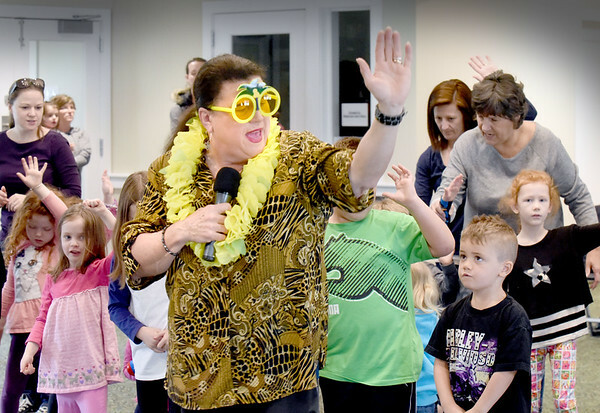 Salisbury entertainer and singer Nancy Sweeney teach youngsters the Cuban musical dance form the Mambo on Thursday afternoon. She was at the Salisbury Public Library for one of the school vacation presentations.